To organize and carry out training actions on the topics referred to in paragraph 1. The contents and inventory of the project are organized in sections according to criteria based on the recommendations of UNESCO and national legislation for inventorying the intangible cultural heritage. I.E.L.T. – Instituto de Estudos de Literatura Tradicional (Institute for Oral Traditional Studies) hosted by FCSH-UNL (Faculty of Social and Human Sciences of the New University of Lisbon) is a partner institution in this project. 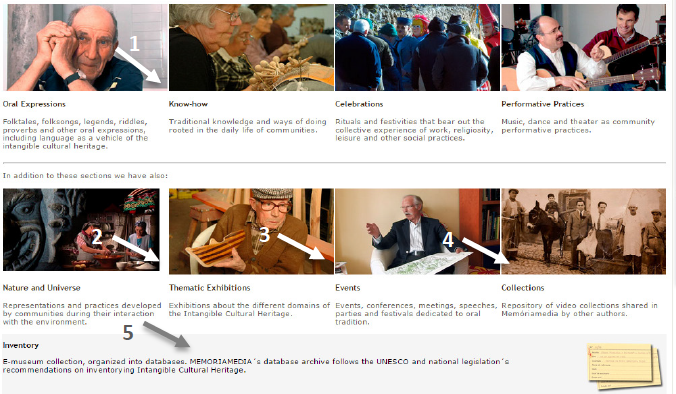 Aiming to create synergies and promote cross-cutting cultural heritages, Memória Imaterial CRL has been establishing cooperation protocols throughout the country with numerous institutions, namely government associations and councils, local authorities, schools, museums, foundations, libraries, cultural groups, local development agents, and other non-governmental organizations. Memória Imaterial CRL goes out from what the groups and communities select as their intangible cultural heritage, does fieldwork and research on that given reality and draws up promotion and dissemination plans directed to different audiences, making sure that the results can be enjoyed by every social segment. – Identification and collection of ethnographic records and oral expressions: folktales, folksongs and balladry, riddles, anecdotes and other oral transmitted texts in 22 Portuguese municipalities: Alenquer, Beja, Cabeceiras de Basto, Campo Maior, Cascais, Cuba, Elvas, Esposende, Estremoz, Grândola, Idanha-a-Nova, Miranda do Douro; Montemor-o-Novo, Mora, Peniche, Póvoa de Varzim, Serpa, Sesimbra, S. Pedro do Sul, Sobral de Monte Agraço, Torres Vedras and Vimioso. 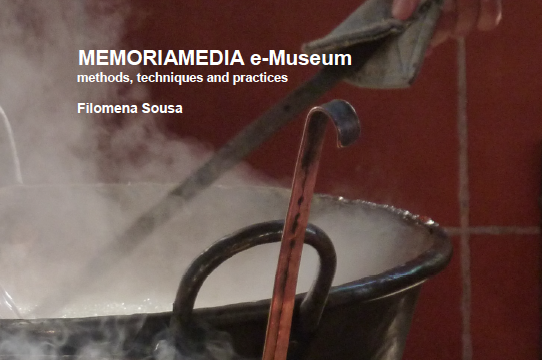 – Identification and collection of ethnographic records about “Know-How”: “Regional Gastronomy” (Alenquer, Arruda and Sobral/ Tavira/ Elvas); “Arts and Crafts” (Windmill, Tailors, Carpenters, Basketmakers, Weavers, Shoemakers, Making the Portuguese tambourine, Making bagpipe reeds, and Making bread). – Identification and collection of ethnographic records about “Celebrations”: Festa dos Velhos em Bruço (Traditional masked celebration, Mogadouro); Easter Celebrations (The Palms Procession, Senhor dos Passos and Enterro do Senhor em Vila deBoim Procession (Elvas), Mandato Procession (Elvas).